Prepare for Titanfall once again, but now with 100 percent more grappling hooks. Seeing Titanfall 2, I’m so torn between being hyped and being realistic. The original Titanfall was one of the most over hyped games of the last few years—not because it was bad. It wasn’t. I loved how Titanfall played, all high-mobility combat and mechs falling out of the sky. But there just wasn’t much to it. 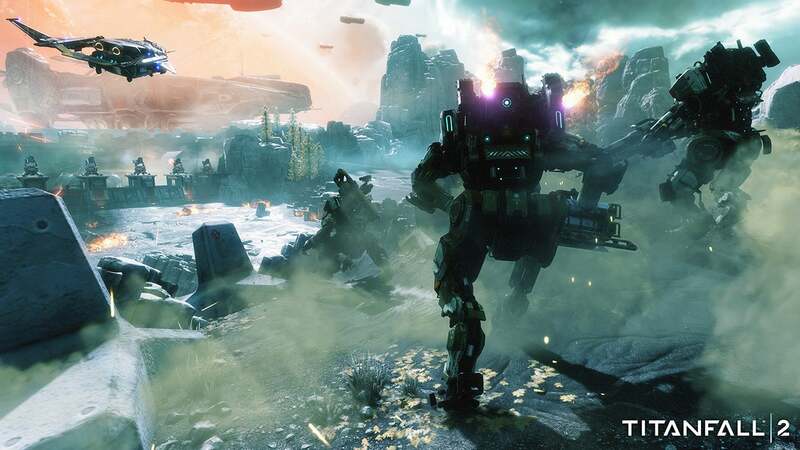 Titanfall was one of the first games to fall into a trap we’ve seen countless times now—a multiplayer-only game releases and...there’s just not much to it. It feels underwhelming, repetitive. People play a lot for a few weeks and then, nothing. See also: Star Wars Battlefront, The Division, Battleborn. Regardless, that’s the reality. The upside? EA revealed during its press conference that Titanfall 2 will have a singleplayer campaign. The downside? It’s not at the show. All we get to try here is multiplayer. That’s a pretty loose usage of “Downside,” though. And so here I am, worried again about overhyping another Titanfall but...well, it’s so damn fun. This is, at its core, more Titanfall. That’s fair to say. It’s the same pilot/mech duality, shooting people on foot before eventually calling in a massive robot to stomp across the landscape. Pilots are quick and nimble. Titans are wrecking balls. The interplay of the two is fascinating as ever. But it all feels much smoother now. 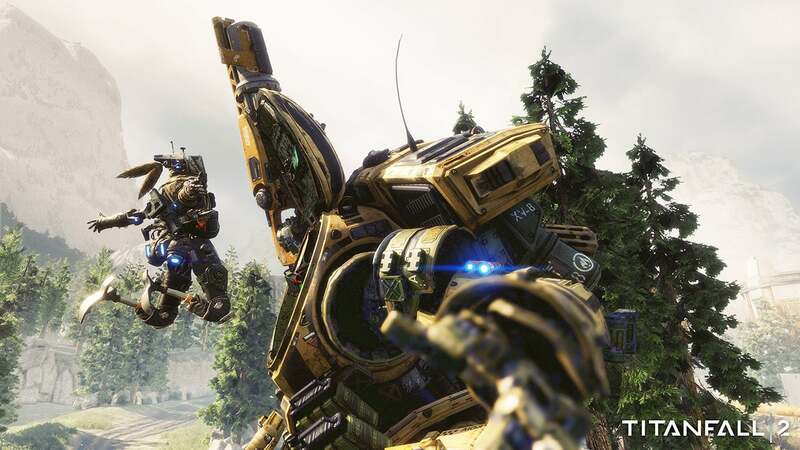 Titanfall’s first-person acrobatics have come a long way in two years, and it's easier than ever to pull off spectacular wall-running stunts and otherwise leap around the map. Plus there’s a grappling hook. Apparently this is the year that gadget makes a comeback in shooters—Overwatch’s Widowmaker likewise ziplines around the map. I’m not complaining. 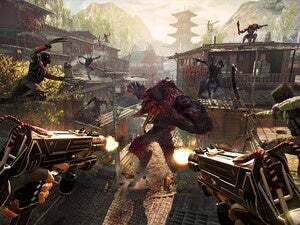 Grappling hooks are awesome, and having them in shooters again takes me back to my PlayStation 2 days, playing the otherwise-mediocre 007: Agent Under Fire. The most useful tactic with the grappling hook seems to be “Fasten it onto a Titan and reel it in before the pilot can murder you dead, then rip out the Titan’s battery.” My favorite usage though? Impaling an enemy with it and reeling them in for the kill, a la Mortal Kombat's Scorpion. Badass. My only worry—and it’s a big one—is that the game is still mostly AI grunts with a handful of real players on each team. It’s just as difficult as the original game to find anyone real to shoot at. Sure, the grunts fill out the battlefield, but they’re stupid fodder that act more as set dressing than a legitimate threat. They’re no match for human enemies, nor do I really think Respawn wants them to be. But the end result is still a bit underwhelming, when you’re running in circles trying to find an enemy pilot. When you do, it’s excellent. Those moments are legitimately tense and terrifying. They’re mobile, they’re fast, and they’re smart. It’s the moments in between that need fine-tuning, and I’d hoped that with Titanfall 2 ditching the Xbox 360 and releasing later in the Xbox One/PS4 console cycle, we’d see bigger conflicts. Nope. That aside, I’m weirdly excited. Fool me once, shame on you and all that—I’d definitely recommend keeping expectations in check. Part of me wants that “Have you even played Titanfall?” sort of hype, though. I loved the core of the Titanfall experience, and I think it has the potential in a more fleshed-out sequel to justify the expectations around the first game. Even if it’s two years too late. The game releases October 28, 2016, and we’ll undoubtedly see more of it between now and then—I expect at least one “beta” period before launch. And if grappling hooks and robots all sounds like a bit much? 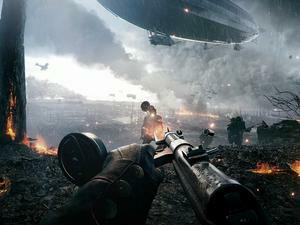 Well, there’s always Battlefield 1. We’re covering E3 all week. For up-to-the-minute impressions from the show floor be sure to follow me on Twitter (@haydencd).